Across Canada, the use and misuse of opioids is having devastating effects on families and communities. Of the thousands of accidental deaths experienced in 2017, 72 per cent involved fentanyl or fentanyl analogues, which is up 17% from last year. Public health organizations predominately rely on emergency or medical services information, hospitalization records and coroner and medical examiner reports. However, many opioid overdoses do not result in death, nor do they always involve an emergency or medical response. That means crucial information remains uncaptured. 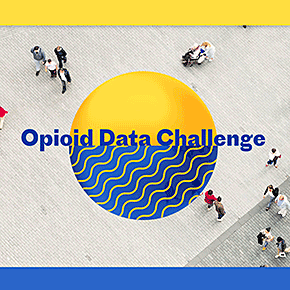 The Public Health Agency of Canada, Statistics Canada and MaRS are asking Canadians to identify novel sources of data and analytical mechanisms to help the public health sector better understand the scope of opioid overdoses at the community level.